I love small brands that you find in shops, the ones that not many people know about or even ones that have made a comeback. 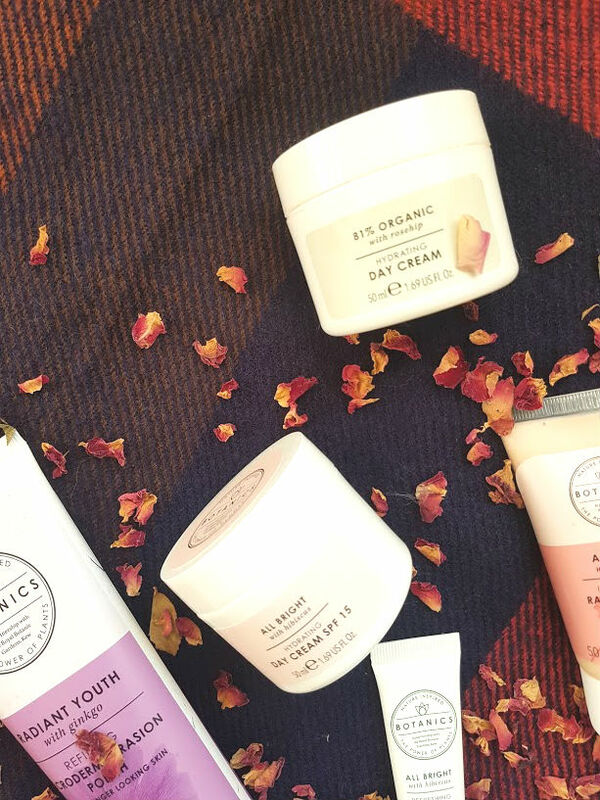 Botanics has been in Boots for a long time now, but recently - they had a complete rebrand and have made everything new! In terms of packaging, everything is white and colour co-ordinated depending on the skin concern and then the items in the range too. As an ambassador for the brand, I have had a fair share at trying products from them and this post is a run down on my favourites from them so far. Please not that these are my honest opinions, regardless of them being samples that have sent to me. Each of the colours on the packaging, stands for different skincare concerns to help you target products for you. The green labelled products are organic, pink is for brightening, blue is hydrating, purple is for early signs of ageing. I love that they have this system in place, as it makes it easier to find the products that target your main concern in skincare. 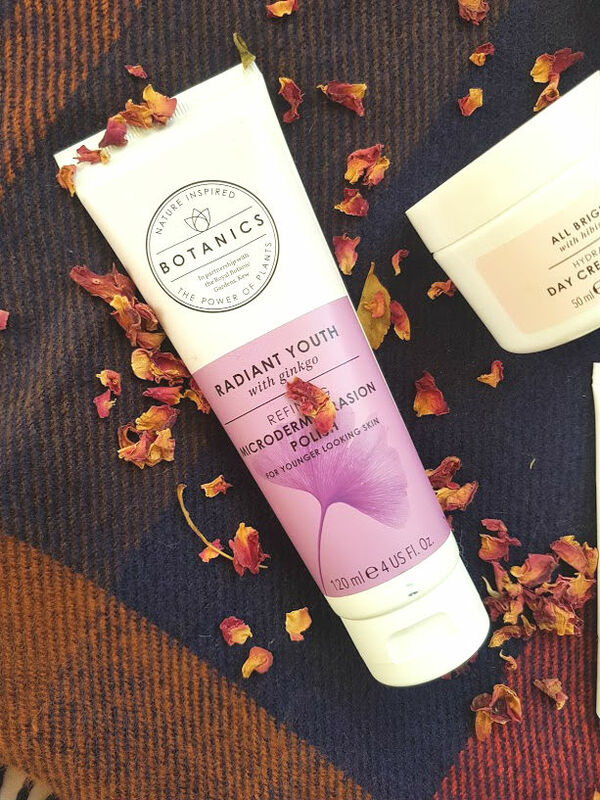 I currently have two of the day creams on rotation, the All Bright Hydrating Cream (£6.99) and Organic Hydrating Cream (£9.99). Where there's a small difference in price, I have no idea! I love switching these up, depending on how my skin feels that morning. As a combination skin gal, I could wake up one morning and skin is really dry and another when my skin is oily and yuck. Both of them have a very thick texture but sink into the skin within seconds and makes the perfect base for your primer and makeup. The organic one contains rosehip, which does wonders to my skin, it helps with the breakouts that I have and calms them down. 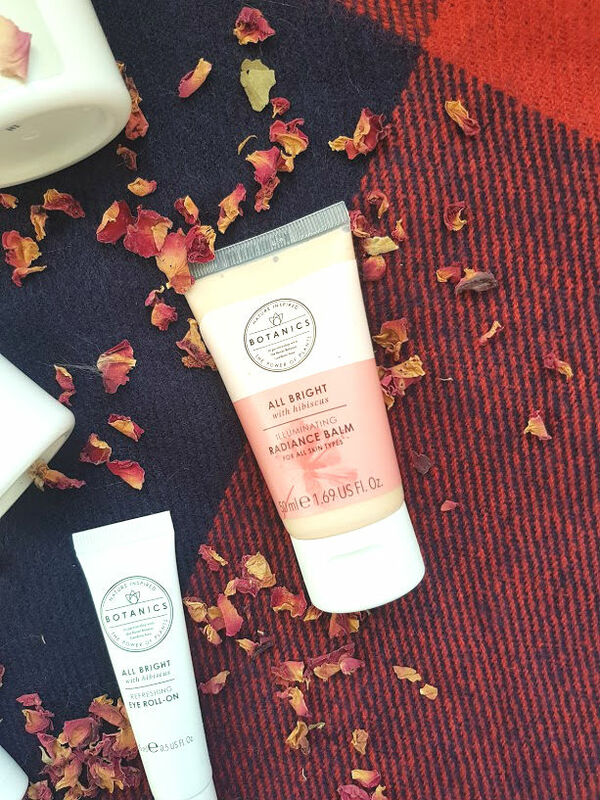 The All Bright Radiance Balm has featured on here before and I think will keep on making an apperance, it retails for £7.99. It smells like a sweet shop and applies almost like vaseline but when worked into the skin becomes a cream and gives you such a glow. Even little me, over here with oily skin can wear this on her skin without looking like a frying pan. I find it works best on my cheeks, rather than the rest of my face and gives the skin such a boost in dewiness that nothing else does. Perfect to use on its own and under makeup as a primer. The Eye Roll on (£8.99) is a new addition to my skincare stash but one that is already very well loved. I keep this on my bedside table and apply it every night without fail. I am very bad when it comes to undereye care, I don't mess around with creams ect even though I know I should. This takes out the fuss and keeps it simple with a rollerball, this instantly cools down the eye area. I have seen a difference in the colour of my dark circles but they haven't gone completely as of yet. I need a miracle for that to happen. Ageing of the skin, isn't really an issue that I am battling with at the moment so I became a bit specpitical using this but the Microdermabrasion Polish is a treat for the skin. I've been using this very thick scrub on my skin once a week with my Magnitone to scrub away all the dead skin. It gets rid of everything that has been sitting on there for a while and makes my skin soooo soft. I'm not a fan of the colour, it is almost grey and dull but the results are incredible. 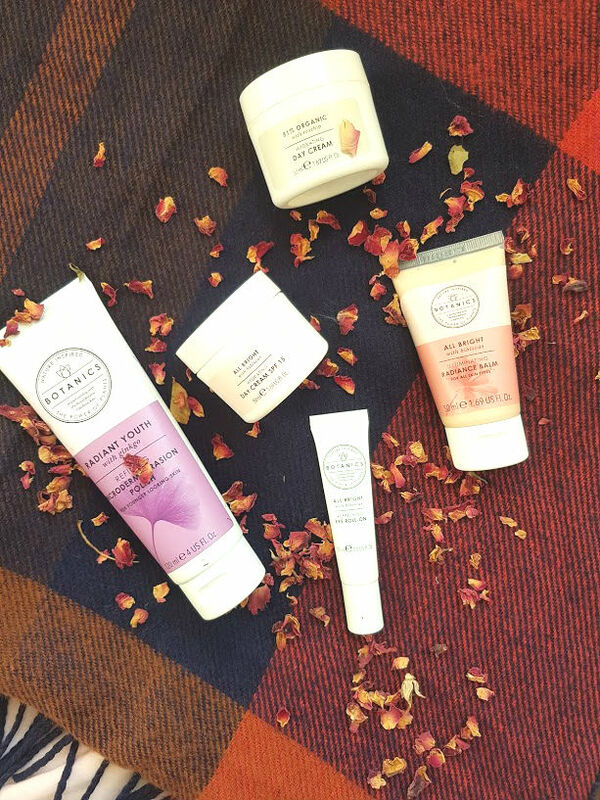 If you ever pop into Boots, check out the Botanics range and I guarntee that you will find something perfect for your skin! 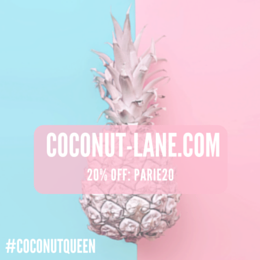 If you fancy an online order, use the code BOTANICS2 for some money off!